Perseverance Works | beryl’s #secretcycles have travelled 1,661km so far! Posted by Amy King & archived under Misc. Earlier this year, beryl launched #secretcycles for us to use at PW. Their free-to-use bike-share scheme was made available for exclusive use by the PW community, and is running as a test-bed for the new bike-share technologies they are developing as part of a project looking at the future of bike-sharing in the city. So far, beryl’s #secretcycles have travelled 1,661 km across 756 journeys lasting 138 hours! Take a look at the gif below to see where the bikes have gone. If you’d like to borrow a bike, download beryl’s #secretcycles app for iPhone and Android. (beryl has already approved many companies at Perseverance Works and Printing House Yard giving them automatic access to the app). 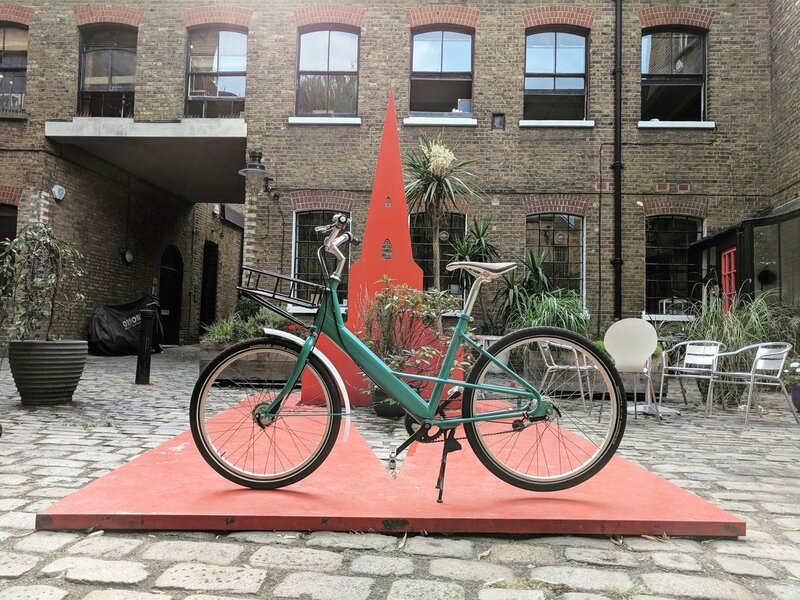 To read more about beryl (formerly known as Blaze), check out an article we wrote about their mission to make city cycling safer, or take a look at their website. Cyclists might also like to check out beryl’s latest podcast on how to lock your bike up properly – an essential skill in London! Join us for yoga at PW!